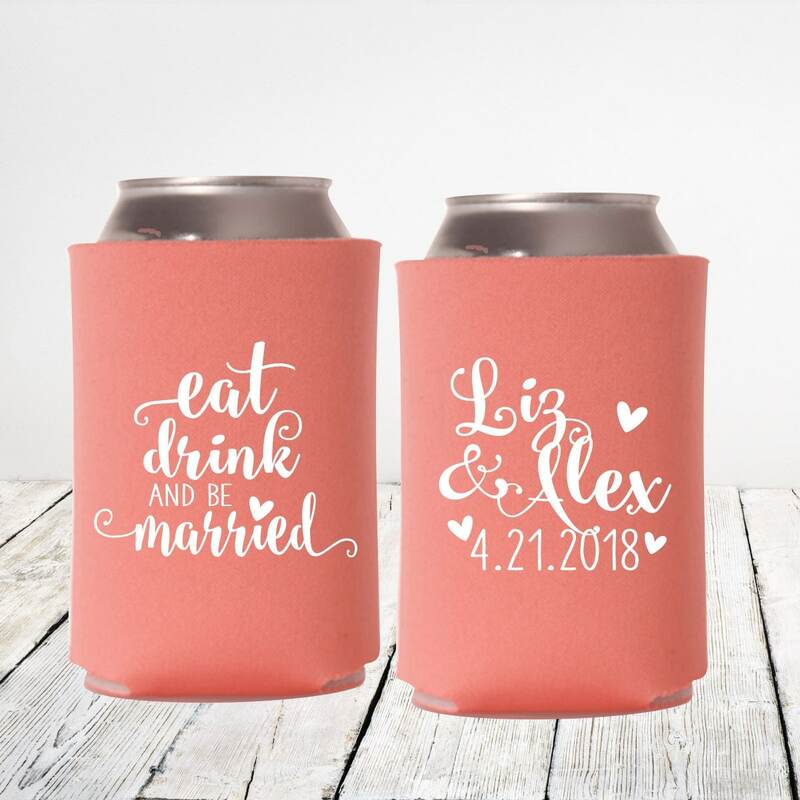 Wedding can coolers are such a fun wedding day party favor and your guests will love this Eat Drink and be Married personalized design. A great wedding take away to thank your guests and a wedding favor they can use immediately! 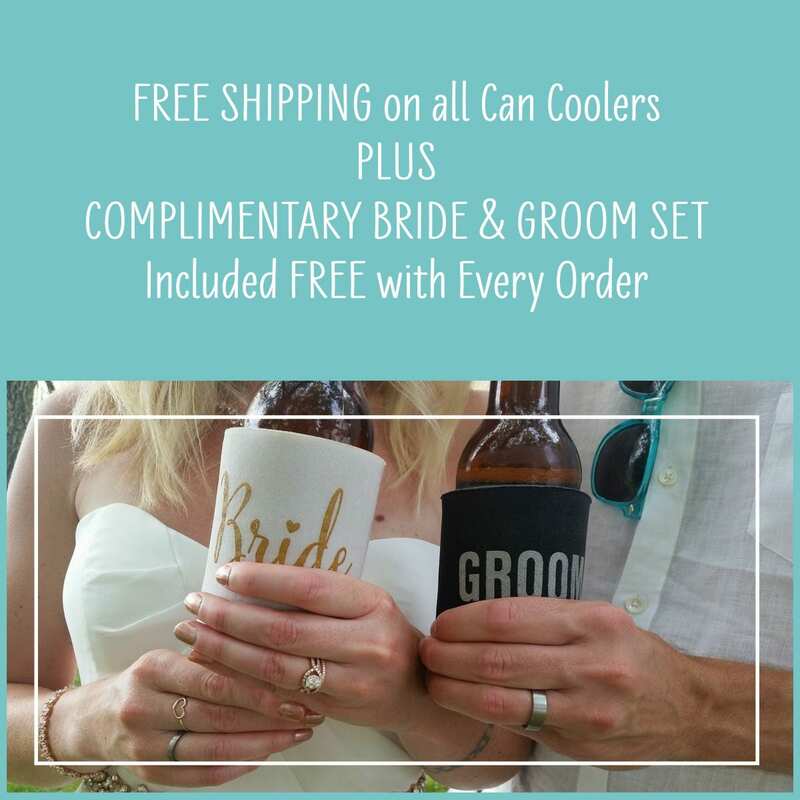 FREE standard shipping AND FREE Bride & Groom (black & white OR gold & silver) can coolers included with each order. Bride & Groom set ships separate. The custom design wedding can coolers were a huge hit at my sons rehearsal dinner party. The guys loved them and to my surprise, the girls were just as excited. Order extra. I ran out. Pro Tip: Put together a set for the party bus or limo. A PROOF WILL BE SENT FOR YOUR APPROVAL within 48 hours. Once approved, your order will go to production. Delivery is approximately 14 business days from date of order. Expedited service is available upon request for an additional fee. 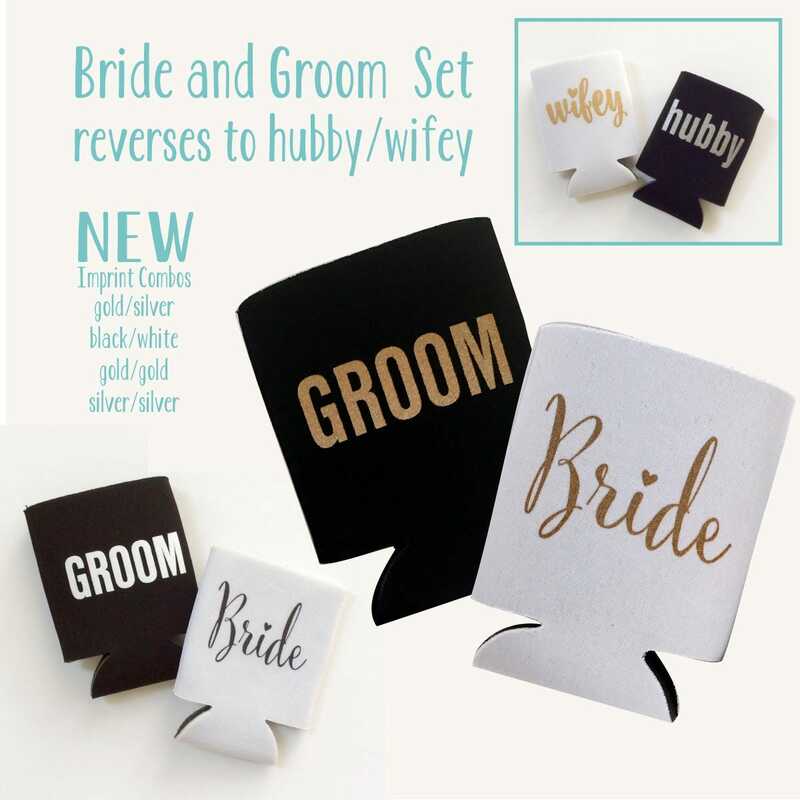 Mix & Match: All can coolers are made to order so if you like the front design on one listing and the back design of a separate listing, please put your request it in the Note to Seller Box at checkout. I am happy to accommodate most requests. Material: Can coolers are collapsible high quality 4mm polyurethane foam (not neoprene) and fit most 12 - 16 oz. cans, longnecks, and water bottles for premium insulation. 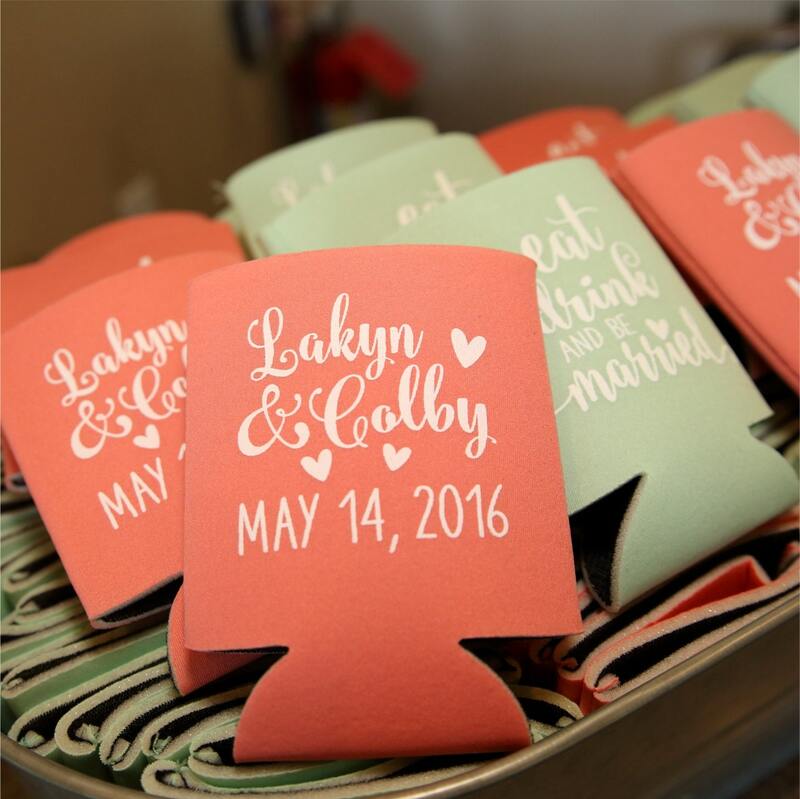 The coordinating custom design is printed on both sides of this can cooler to create the ultimate wedding favor for your guests. 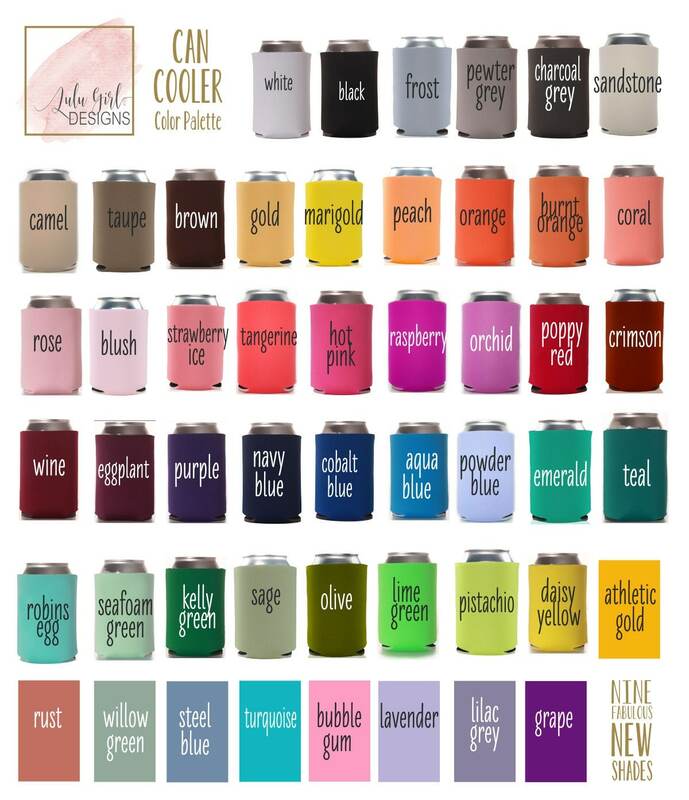 Can Cooler Colors: You may select an additional can cooler color for every 50 can coolers you order, up to four colors max. 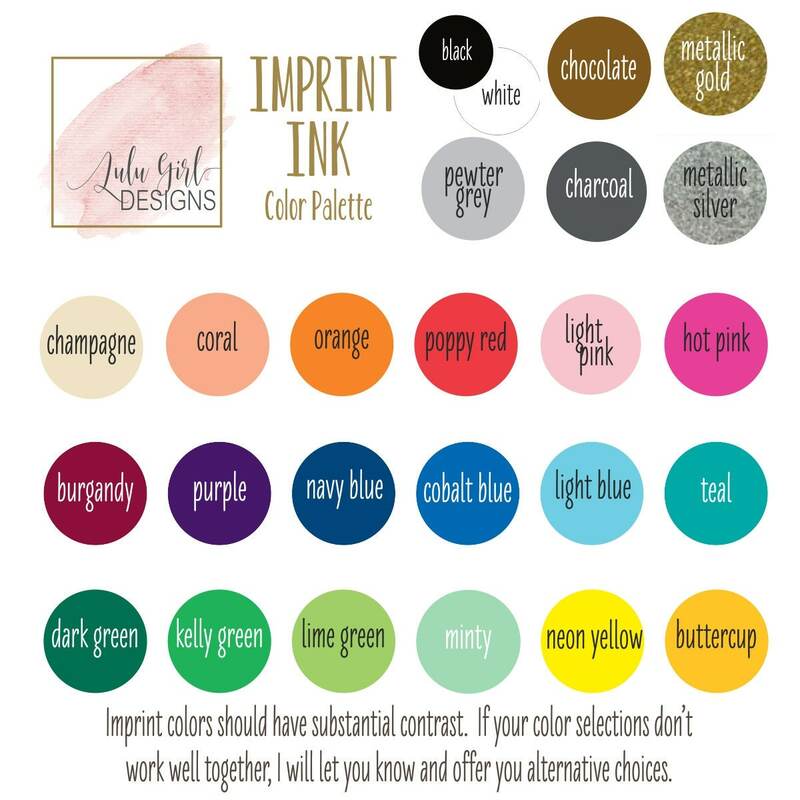 If you need more than four colors, separate orders must be placed. Colors are represented as accurately as possible but are not guaranteed as all monitors, smart phones and tablets display color differently. No returns or refunds. I am happy to provide the Pantone PMS colors. All can cooler sales are final once proof has been approved.